generations, featuring one of the largest ever gaps in age and accomplishment at a major tournament semifinal. Rafael Nadal, 32 who is one of the greatest tennis players of history with 17 Grand Slams including the 2009 Australian Open was too powerful for the 20-year-old Greek who showcased his talent and confidence throughout the tournament, even beating the defending champion Roger Federer on his way to the semi-finals. As the scoreline suggests the battle was quite comfortable for Nadal who served brilliantly- he has yet to drop a set in this tournament- to progress to a 25th grand slam final of a remarkable career, five short of Roger Federer’s all-time record. 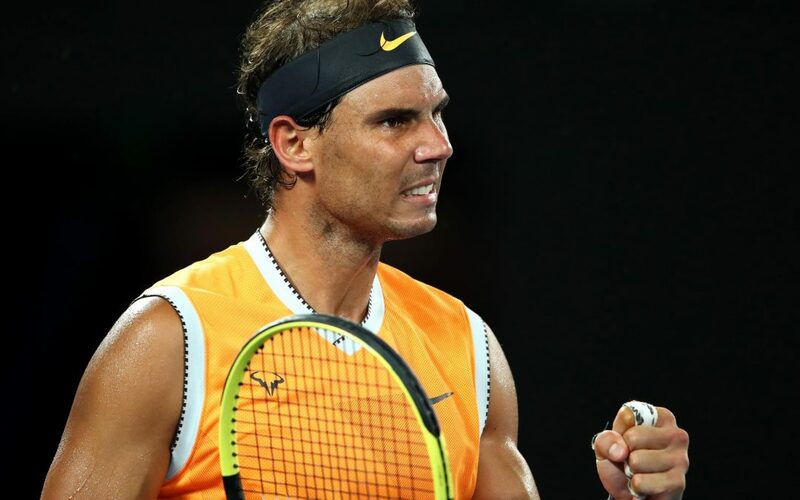 In what was arguably one of the finest late-round performances of his career, Nadal proved once again what he is capable of and he will be a formidable foe for either Novak Djokovic or Lucas Pouille, who will play each other on Friday in the other men’s semi-final.